prizes will be re-rolled in 7 days for whom don't claim it. How does this giveaway works? You can gain 3 entries daily through paying 10 million zeny for each entry at the NPC located at (prontera 147,211﻿). You can gain 2 entries per day by voting in all vote websites (the 9 websites), once every 12 hours. You can pay 5c per entry, twice a day to NPC located at (prontera 147,211﻿). For every 5 euros donated to our server you will gain 1 entry, and there's no daily limit on this. There will be eggs spawned randomly in random maps, killing one of those eggs will grant you an entry. 100 Euros worth of premium items, that includes any limited items released through the year that was obtainable through direct purchase only, the price of each item will be calculated at normal price and not discounted prices. The winner of any physical prizes is the sole responsible for giving us accurate shipping information, personal information and only is the sole responsible of any customs or import tax fees applies by his country, RevivalRO is only responsible for paying the gift expenses and shipping fees. The winner of any physical prizes have to send us a picture of him with the recieved reward and give us the rights to use it for any advertisement or marketing purpose. In-case the winner of a physical prize is a minor he is obliged to take his guardians consent for receiving the gift and taking a picture with it. Last July we held a similar event! 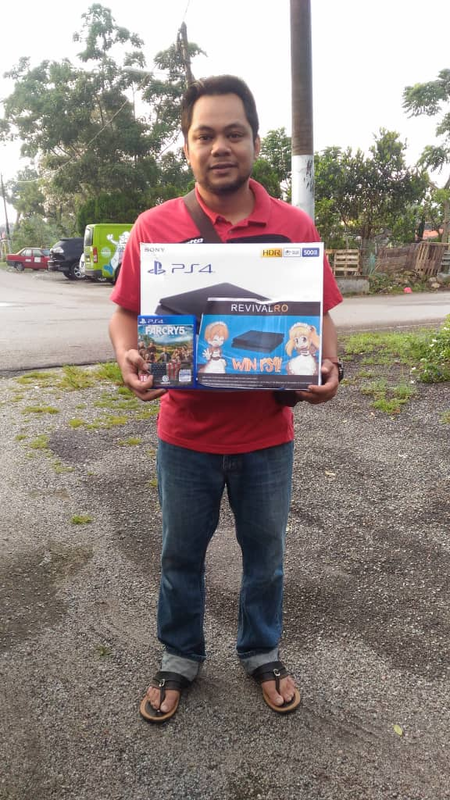 this a picture of our lucky winner receiving the reward! Good luck and have fun in RevivalRO World! we wish the best of luck for everyone!